In a fit of drunken anger, Michael Henchard sells his wife and baby daughter for five guineas at a country fair. Over the course of the following years, he manages to establish himself as a respected and prosperous pillar of the community of Casterbridge, but behind his success there always lurk the shameful secret of his past and a personality prone to self-destructive pride and temper. 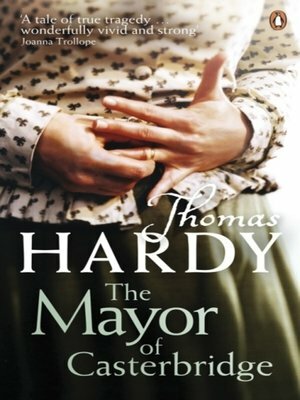 Subtitled 'A Story of a Man of Character', Hardy's powerful and sympathetic study of the heroic but deeply flawed Henchard is also an intensely dramatic work, tragically played out against the vivid backdrop of a close-knit Dorsetshire town.